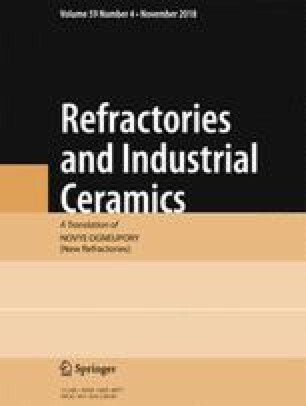 Refractory heat-insulating materials produced in Russia are characterized. The thermal stability of high-alumina heat-insulating materials filament-reinforced based on mullite-silica glass fiber is investigated. Thermal stability data of products with crystallized and non-crystallized matrixes is presented. Translated from Novye Ogneupory, No. 10, pp. 62 – 64, October 2018.